Mathematically, a graph is a set of vertices and edges, thus a graph G is usually written as G(V,E). Besides linking vertices in the graph, edges can also carry a specific value which may be interpreted as cost, weight, distance etc. 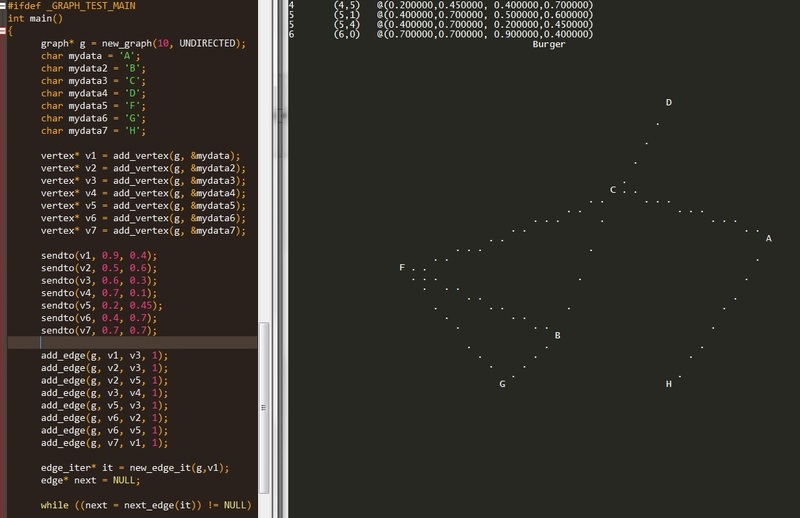 Vertices should be able to hold any kind of data, so we’ll just throw in a void pointer for that. Other than that we have an id, status (marked or unmarked – more on that later) and 2D coordinates so we can draw the vertices somewhere. Edges consist of just pointers to the vertices they link and an optional value used as weight, distance, cost etc. Strictly speaking we could use a void pointer for that value as well, as long as we also defined a comparison function. But let’s save the hassle and just use an integer instead – most algorithms will be fine with that. Using our implementation of a doubly linked (DL) list, we can very simply build the most basic LIFO (last in, first out) data structure: the stack. 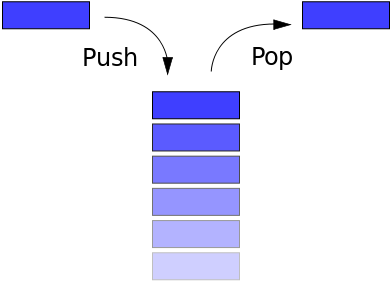 Stacks have two basic operations: push and pop. Push pushes data onto the stack (i.e., end of the DL list) and pop pops data off the list’s tail, which is only possible because we can set the new tail as tail->prev, since we’re using a DL list, with previous pointers. Another useful function is peek, which returns a pointer to the stack’s top. 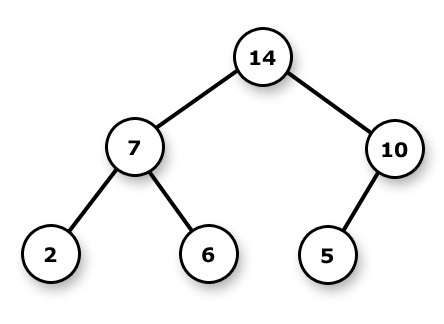 This property makes the doubly linked list very useful as a base for other data structures such as the stack: having a previous pointer means we can quickly (O(1)) remove objects from the list’s tail, which would be impossible with a linked list. We won’t discuss implementation since it so similar to a linked list. If anything implementation is even simpler than a linked list because of the previous pointer access. Very simple Vector implementation with add, add_all, get and delete operations using arrays of void pointers. The downside to this as compared to simply using an array is that here we have an array of pointers, which means the data will most likely be scattered over the memory, not coalesced. 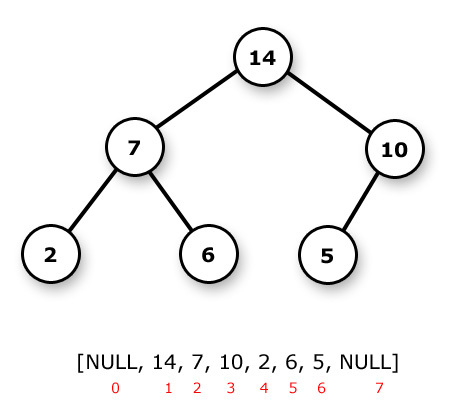 Here’s a very simple implementation of the linked list data structure.